A reward of up to £5,000 is being offered for information on a "senseless" and "vicious" attack which has left a 94-year-old Birmingham woman in hospital. 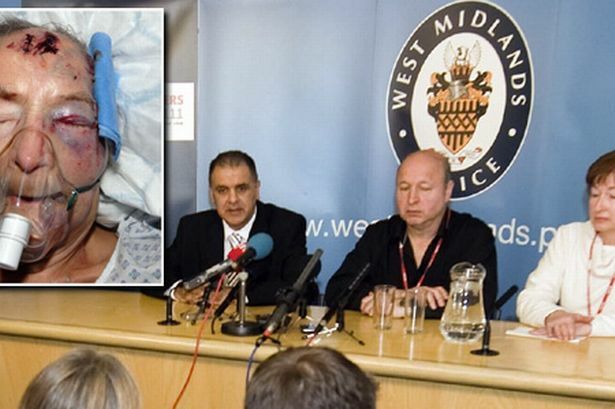 Emma Winnall, from Moseley, was attacked in her bed while she slept last week, West Midlands Police believe. A motive for the attack remains unclear and officers believe nothing was stolen during the attack. On Tuesday her family made an emotional appeal for information to help find those responsible for the assault. Her daughter Joyce Blencoe said: "To see your mum viciously beaten and covered in blood is the most horrific nightmare." Detectives believe Mrs Winnall was assaulted in her home in Pensby Close between 9pm on April 30 and 9am the next morning, when she was found by her carer. Mrs Blencoe, sitting beside her brother, 63-year-old John Winnall, said: "Someone out there knows who did this so please come forward before they do it to someone else." Mrs Winnall, who suffered horrific injuries including a fractured skull and a partially severed finger, is in a stable condition in hospital following surgery. Detectives are continuing to investigate the attack and several names have been put forward as potential suspects, West Midlands Police said. A reward of up to £5,000 is being offered by Crimestoppers to anyone who provides information that leads to an arrest and conviction. Pauline Hadley, Crimestoppers regional manager for the West Midlands, said: "Any information you have, even if you believe it is insignificant, is of extreme importance to us. "Please call Crimestoppers anonymously on 0800 555111 or by filling in our secure online form at www.crimestoppers-uk.org as we need any help the public can give us."